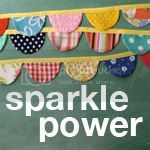 Okay first off, there are a couple of Sparkle Power posters up for giveaway on a couple other blogs right now. Check out Blessed Little Nest for a chance to win a poster of your choice. Also, the aqua alphabet poster is up for grabs over on The Patriotic Peacock. So be sure to enter those! 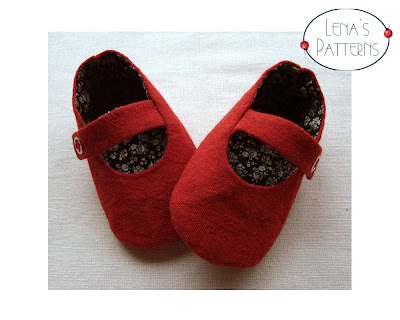 For this giveaway, Lena's Patterns is offering 3 winners one pdf pattern of their choice!! To be entered for this giveaway, please visit Lena's Patterns & leave a comment on this post telling me your favorite item from the shop. Please be sure to leave your e-mail address so that I can easily contact the winners. Followers are allowed one extra entry. So if you follow this blog in any way, please leave one additional comment letting me know that you follow. You have until Wednesday, June 23rd to enter. Good luck!! I'm also a follower. Bonus entry! I like the ballerina shoes---simple and cute!!! Those baby booties are so adorable!! My 2 favourites are the Blue Meadow Shoes and Tulip Baby Loafers, it's impossible to choose one! Thanks for the giveaway! Definitely those baby ballerina shoes! Love them. 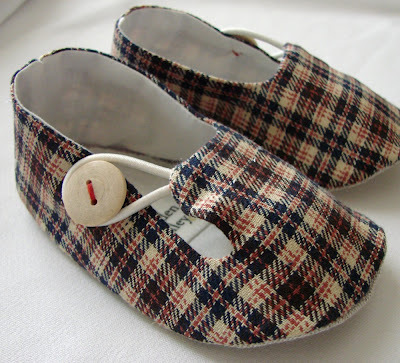 I love the Baby Kimono Shoes Pattern - 6 sizes - DIY- the pattern is too adorable! I am IN LOVE with the baby ballerina shoes!! I was not a follower, but i follow you on twitter now - does that count for an entry? So sweet! My little niece would look adorable in the kimono shoes, too cute! Oh I love the kimono shoes!! So adoreable!!! I love the Reversible Alice shoes and the Tulip shoes! And I have baby gifts to put together - perfect! Thanks for the chance! my favorite are the ballerina shoes - I also like the sailor shoes too. 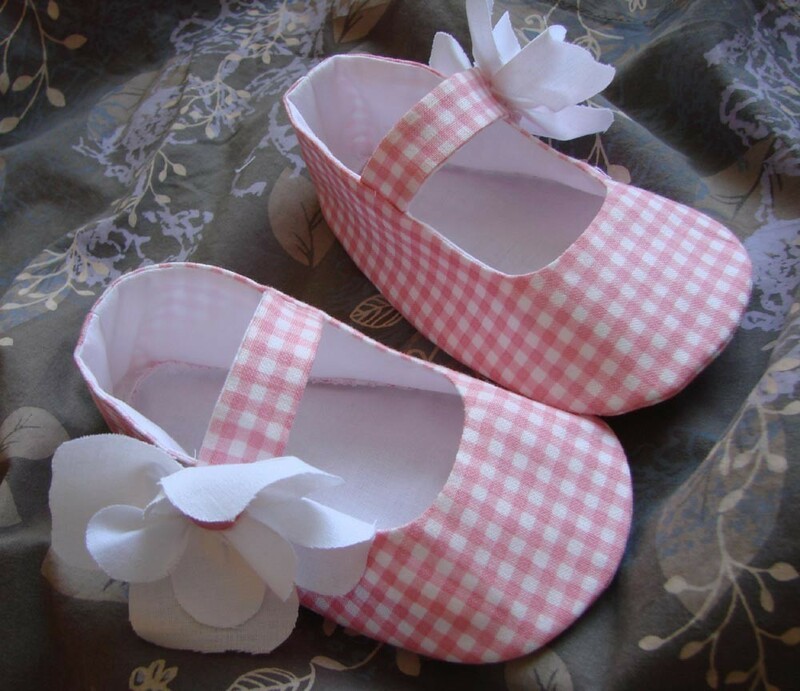 lovely shoes - if I really have to choose it would be the magnolia baby ballerina (the ones in pink gingham with flowers on the side)perfect for my little girl. So cute! I loved the Kimono Children's Shoes Sewing Pattern. I make a lot of my daughter's clothes and would be nice to make matching shoes. i have a very hard time choosing, but i think it must be the kimono shoes. they would make such a sweet baby gift with a knitted kimono sweater! oh, i am a follower, too! Tough to choose one pattern but I just love the tulip loafers. Oh, this new gramma knows "baby neeeds a new pair of shoes"!!!! I love the boyish "Blue Meadow Shoes". Darling!!! I love the baby kimono shoes best! I really like the Baby Tulip Loafers and the Ballerina Shoes. My aunt just announced she is prego and I'd love to make her a couple pairs. Just started following too! Great Blog! I love Baby Kimono Shoes Pattern. They are wonderful! I love the kimono shoe patterns - so cute! Hi! Thank you for this awesome opportunity! 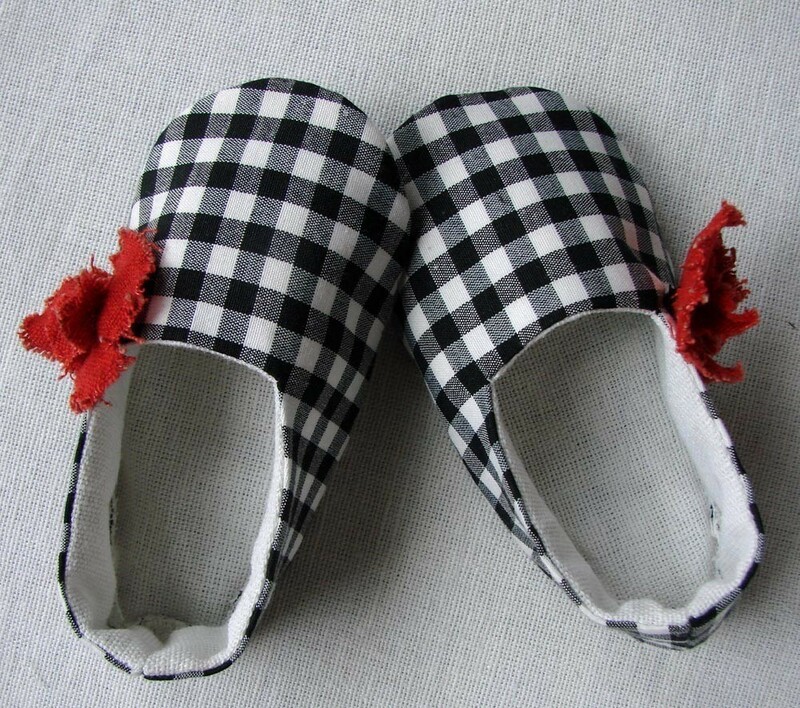 I absolutely adore the Baby Kimono Shoes pattern! It is adorable! Hi! I am also following your Blog! i love the Baby Shoes Blue Meadow, Tulip Baby Loafers, Baby Bow Ballerina Shoes, Baby Kimono Shoes ..... I can go on ....! I love Alice Baby Shoes for Wonderland walk . Thanks for the giveaway. I really love the Baby Tulip Loafers. I follow you on Google Reader and Facebook. I love the Baby Kimono Shoes pattern! Very adorable! What adorable shoes!!! I love the "Baby Shoes in Asian Style" the best probably, but they are all so cute it's hard to choose! And now I follow your lovely blog! I like the Baby Ballerina Shoes with Elastic Strap! I love her ballerina shoes! Just found your blog and LOVE it! The ballet shoes and the baby asian style shoes are fantastic! I love the poppy baby shoes and hope the pattern shows you how to make the cute little flower! 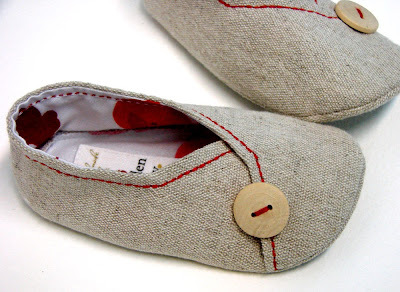 Oooooo those baby kimono shoes are just so cute! i love the kimono shoes..and those fabric bowls. so cute. Children's Kimono Shoes Sewing Pattern is super cute!!! I like the "Asian Style" pattern the best! The kimono shoes are my favorite. What a cute little slipper to wear with any dress! I follow your blog via a reader. They are all cute, but I like the Baby Ballerina Shoes best. I love the Tulip Baby Loafers PDF Pattern - Newborn to 24 months. I love the alice baby shoes. My niece would look so cute wearing them! I love the baby ballerina shoes - they are adorable! The baby ballerina shoes with an elastic strap are simply adorable! I love the child kimono shoes! 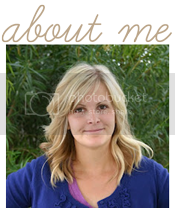 So sweet- just stumbled on your blog from MADE- it's great! I am having hard time to say one fave =) I have 2!!! The Ballerina bow and the baby kimono - just too cute!!!! the baby kimono shoes are my faves!! The baby ballerina shoes are so cute! Love the Alice baby shoes for wonderland Walk. Too Adorable! ballerina baby shoes are adorable. I love the Baby Sailor Shoes. My firend is due in August and I've been looking for the perfect baby shoe pattern, this pattern seems a little difference from all the others I've seen. The Kimono Childrens shoes are adorable.